There are many types of bees found in nature, but perhaps none are as downright bizarre and terrifying as the zombee. That’s right, as if killer bees aren’t enough, we now have zombie bees to deal with. Zombees didn’t really come back from the dead, of course, but they do buzz around mindlessly, unable to control their own motor functions. According to a recent scientific paper, a zombee results from a honey bee getting infested with mind-controlling, parasitic fly eggs. 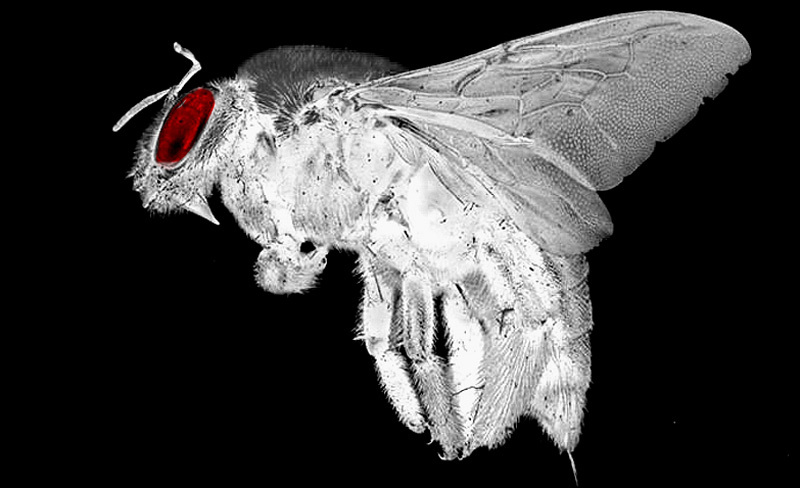 Several days after the parasitic fly (Apocephalus borealis) lays its eggs in a bees abdomen, the infected bee flies out of the hive and wanders aimlessly until it dies, which is why researchers have comparied them to zombies. The zombie usually leaves the hive at night, which may account, in part, for the mysterious cases of “disappearing” bees that have been reported during the last few years. After the death of the zombee, up to 13 fly larvae crawl out from its body. Disgusting, right? While the zombee apocalpyse hasn’t happened yet, reports of the infected insects are spreading from California to Vermont. To keep tabs on the buzzing dead, concerned researchers have set up the Zombee Watch website. The full scientific paper on zombees, written by scientists at San Francisco State University and the University of Calfornia, San Francisco, is available online here.